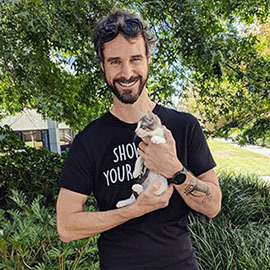 The Little Paws Cat & Kitten Rescue Association is a caring team of people throughout Brisbane, Logan City, the Gold Coast, Ipswich and to Caboolture in the north that help abandoned kittens and cats find their new homes. Our goal is to help as many kittens and cats as possible to find loving secure homes so that they can have peace and contentment throughout their lives and we aim to teach the public about the responsible ownership of cats and kittens. Little Paws is a NO KILL non-profit organisation funded wholly by donations and fundraising events and we rely on the public’s generosity to continue our important work. All funds raised go directly to the care and upkeep of the cats and kittens. We exist thanks to the kind hearted folks who donate, sponsor and help foster the cats and kittens we take on. If you have room in your home and heart, please consider adopting one of our cats or kittens in need of a loving forever home. 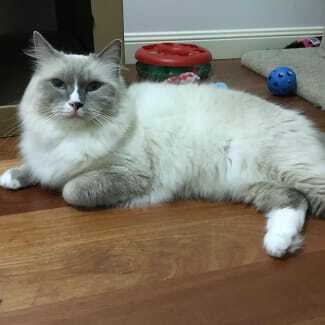 My name is Mr Fitz and I am a beautiful ragdoll looking for my forever home. Just one look into my blue eyes and I guarantee you will fall in love with me instantly. 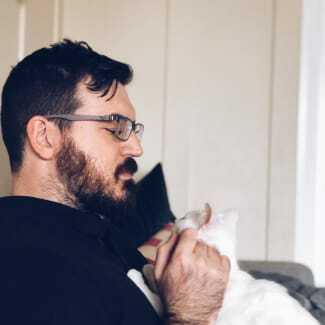 I like to spend my days hanging out with my humans, having chats with them and of course getting lots and lots of cuddles. I do like to explore the house and love climbing my scratchy pole. 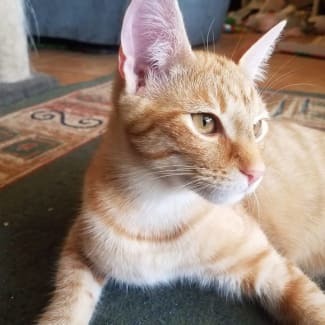 I am very playful and would love to find my purrfect home. While I am fine with my K9 foster brothers I have a bit of a catitude towards my feline foster brothers and sisters and therefore would be better suited to a house with no other cats. If you have a place in your home and heart for me I would sure love to meet you. All Little Paws kitties come to you vet checked, desexed, vaccinated, micro chipped, wormed, flea treated and litter trained. As we are a rescue group, the adoption fee is not negotiable. Little Paws kitties are indoor or cat enclosure only and must go to homes that intend them to stay that way, for their safety and health and for the environment. It is our foster carer’s choice as to which home a kitty goes to. We match kitties to their new family; we do not necessarily “sell” to the first caller. As our foster carers are all volunteers raising kitties in their own home, we would appreciate a call if you cannot make an appointment. Trixie is an affectionate and social young lady who likes spending time around people. She’s playful and likes to, but mostly she enjoys spending time with her friends and getting some pats or scritches. She’s friendly and playful she loves meeting new cats and is patient with cats that take time to adjust to new friends. Trixie is a social cat who like to spend time with people and other animals, so she’d be a perfect fit for a house with kids or other animals. 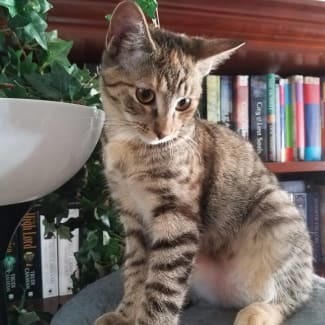 She likes spending time with other cats and is playful and friendly, and just wants to be friends with each new cat and person that she meets. She’s never met a dog before, but would love as she’s a very social cat. Trixie is comfortable being picked up and carried around. She’s patient when being handled and won’t scratch you if she wants to get down, but she can be as slippery as an eel when she wants to be. If you’re looking for an affectionate and playful cat to add to your family, or just to keep you company, Trixie could be the girl for you. All Little Paws kitties come to you vet checked, desexed, vaccinated, micro chipped, wormed, flea treated and litter trained. As we are a rescue group, the adoption fee is not negotiable. Little Paws kitties are indoor or cat enclosure only and must go to homes that intend them to stay that way, for their safety and health and for the environment. It is our foster carer’s choice as to which home a kitty goes to. We match kitties to their new family; we do not necessarily “sell” to the first caller. As our foster carers are all volunteers raising kitties in their own home, we would appreciate a call if you cannot make an appointment. 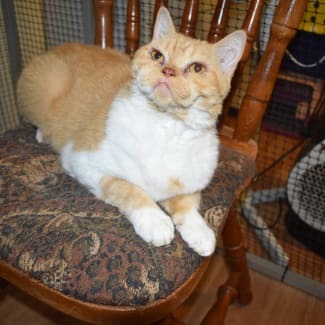 Anuska is a young Selkirk Rex who has been surrendered to little Paws due to her owner’s new baby being allergic. Anuska is a little shy when she first meets new people but won’t take long until she will be seeking your attention. Anuska loves a good pat and you won’t be able to resist touching her curly teddy bear like fur. Like your favourite teddy, Anuska doesn’t require much brushing and is therefore fairly low maintenance. Selkirks are a beautiful breed and the family who adopts Anuska will be getting a truly special girl. Selkirks are a very unusual breed and we expect she will be adopted quickly so if you are interested in meeting Anuska phone her carer to arrange a meeting before she gets snapped up by someone else! All Little Paws kitties come to you vet checked, desexed, vaccinated, micro chipped, wormed, flea treated and litter trained. As we are a rescue group, the adoption fee is not negotiable. Little Paws kitties are indoor or cat enclosure only and must go to homes that intend them to stay that way, for their safety and health and for the environment. It is our foster carer’s choice as to which home a kitty goes to. We match kitties to their new family; we do not necessarily “sell” to the first caller. As our foster carers are all volunteers raising kitties in their own home, we would appreciate a call if you cannot make an appointment. Annabelle is a little charmer. She takes her time investigating her environment, seeing the sights and smelling the smells. She gets on well with the other cats in the house, and is happy to play with everyone, although she mostly prefers to roughhouse with her brother, Axel. She is curious and playful, but still loves to come and cuddle up next to you when she has worn herself out. Annabelle has had no experience with dogs, but her carers believe that with the right family, she should assimilate just fine. All Little Paws kitties come to you vet checked, desexed, vaccinated, micro chipped, wormed, flea treated and litter trained. As we are a rescue group, the adoption fee is not negotiable. Little Paws kitties are indoor or cat enclosure only and must go to homes that intend them to stay that way, for their safety and health and for the environment. It is our foster carer’s choice as to which home a kitty goes to. We match kitties to their new family; we do not necessarily “sell” to the first caller. As our foster carers are all volunteers raising kitties in their own home, we would appreciate a call if you cannot make an appointment. Axel is a sweetie. He loves to race around, climb up and down, and roughhouse with whomever will play. He is enthusiastic about food, and always needs to check out what the people in the house are eating. If you have food, he is your best friend. He is cheeky, and chatty, with a sweet meow, and a very loud purr. He loves head scratches, will rub around your ankles, and rub himself on your hand for scritching. He plays well with the toddler, and copes well with being “patted” and “brushed” with little baby hands. 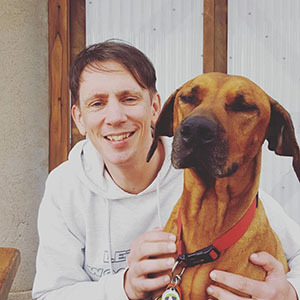 Axel has had no experience with dogs, but his carers believe that with the right family, he should assimilate just fine. All Little Paws kitties come to you vet checked, desexed, vaccinated, micro chipped, wormed, flea treated and litter trained. As we are a rescue group, the adoption fee is not negotiable. 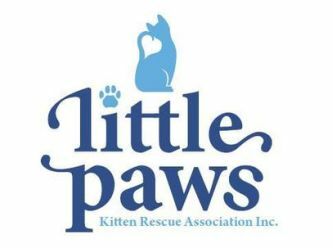 Little Paws kitties are indoor or cat enclosure only and must go to homes that intend them to stay that way, for their safety and health and for the environment. It is our foster carer’s choice as to which home a kitty goes to. We match kitties to their new family; we do not necessarily “sell” to the first caller. As our foster carers are all volunteers raising kitties in their own home, we would appreciate a call if you cannot make an appointment.